In 2017, Ikea announced a partnership with Sonos to sell a custom line of smart speakers. 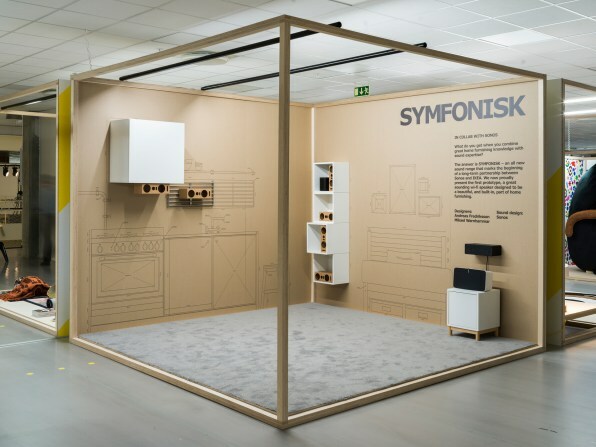 While we don’t exactly know what, now we know when: The Ikea Symfonisk line will launch this August. In an intensely orchestral video spotted by Variety, Ikea and Sonos make the joint announcement. While neither company shares what these speakers will actually look like, both seem to be thinking beyond typical tropes, like speakers that sit on a bookshelf. Instead, the video hints that the the speakers might be the bookshelf–a melding of furniture and tech that’s right in line with Ikea’s recent pursuit of the smart-home market. 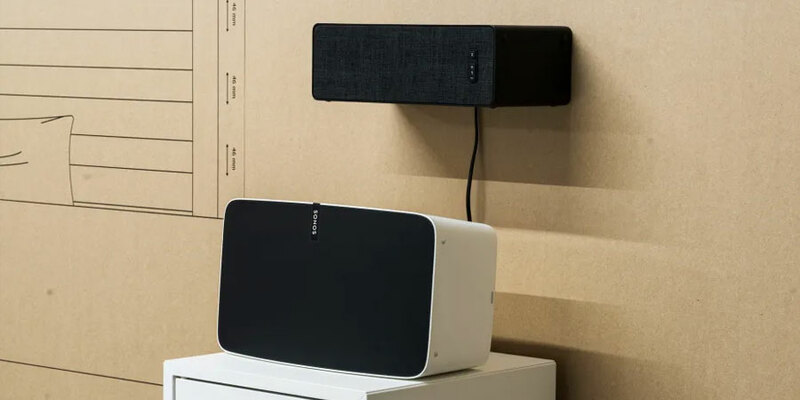 “It’s only by working with Ikea, we can tuck that sound into the furniture in hidden ways, that we could really stop people thinking about the speaker, and start thinking about the sound,” Sara Morris, product manager at Sonos, explains in the video. Symfonisk could be a much deeper play into how sound exists in our lived environments. That makes sense, not just because Ikea makes furniture and Sonos makes speakers, but because of Sonos’s 17-year experience in developing its own software platform for sound. Ikea has already committed to using Sonos’s cloud and smartphone-based tech, which can pipe music from just about any service to speakers in any room you’d like. This partnership suggests a shift in Ikea’s strategy as it stretches its skill set into tech. In the past–for instance with its smart lighting line–Ikea chose to build its platform technology in-house from scratch. From my own experience with Ikea’s smart lighting platform, the results were pretty unreliable, with all the bugs that come with the territory of a Kickstarter project. Sonos could offer Ikea a digital maturity the furniture giant has never known. Another promising aspect of Symfonisk is that, while technology’s shelf life is a lot shorter than furniture, audio equipment is generally an exception. Speakers and receivers that are decades old can still sound exceptional. If Ikea were to build any “technology” into furniture, speakers are a fairly safe bet. Symfonisk could be more than a Scandinavian UE Boom alternative; it could be a means to invisibly integrate sound–and perhaps even AI–into the entirety of one’s home naturally. So far, we’ve seen Google, especially, attempt to convince the public to install smart-home assistants by camouflaging its speakers with domestic-friendly fabrics. 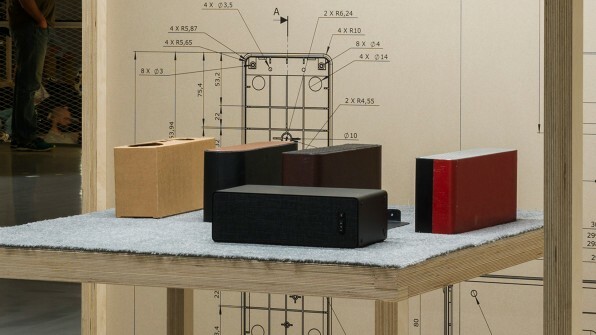 Ikea has a fascinating opportunity to do one better: to build sound (and even microphones?) into our furnishings. Ikea could bring ambient computing to the masses for a screenless, connected life. After all, Sonos has already partnered with Amazon to build the Alexa assistant right into its smart speakers. As a result, the question is less what is technically possible for Ikea and Sonos in this space, but just what its thesis will be for the future of sound. Will it be an easy way to play music? Could Ikea use custom ambient sounds to design a more calming or lively space with audible textures? Does Ikea just want to Amazon-Echo-ify your home? And whatever direction Ikea and Sonos do choose, their success will largely boil down to just how committed Ikea is to spreading this concept across its broader line to make a fully immersive audio environment less a choice for a shopper than the natural default.